Whether you're a dog person or not, you have to agree that there's nothing quite like a puppy. Though some breeds can grow to nearly the size of a pony, even the biggest Saint Bernard starts out in a cute and cuddly little package! And there's something about a newborn dog that feels very similar to a tiny human. 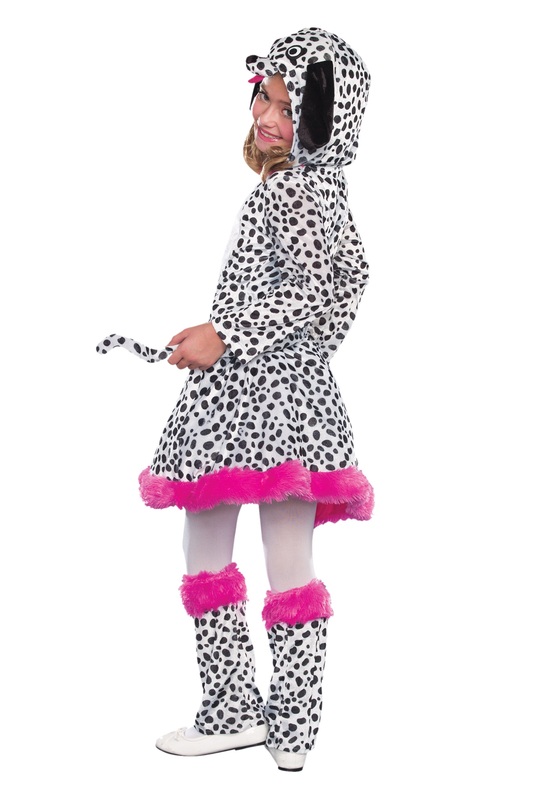 That's why we offer this playful Girls Dalmatian Costume: to help everybody with the transition into an exciting new phase of their lives! Okay, so we hope there's no confusion here. Getting a new dog is a lot of responsibility. It's a great way for kids to learn how to care for another creature! But if they're just looking to pretend for a bit and not take on all the responsibility, we recommend a fun costume just like this one. This stylish outfit aims to combine the sheer joy of a pint-size pup with a few grown-up canine features. So the classy black-and-white spots on the dress are lined with an eye-popping pink faux fur in order to add a little pizazz and up the fun factor! And a full-grown dalmatian is more than a mere handful: it's a four-legged machine built for running and leaping that never seems to deplete its batteries. So we've included matching leg warmers to make your daughter feel extra agile and energetic. You may recognize another nod to the breed's enthusiastic nature in the silly doggy face on top of the hood! Little puppies get big a lot quicker than you might expect! 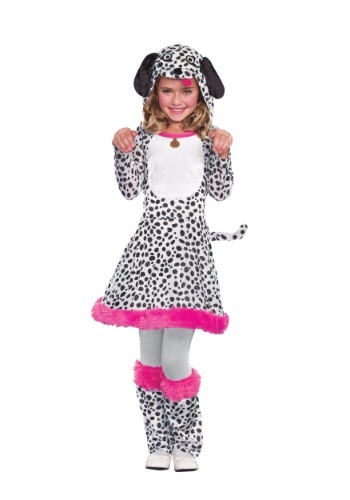 But the nice thing about this Dalmatian costume for girls is that it will stay the same size forever. We can't say the same thing about your child though. They grow quite fast, too!